8th November, 2016, will go down in history as a golden lettered day for India. On this day, Prime Minister Narendra Modi announced demonetisation, a revolutionary step in fighting the menace of black money and corruption. In an unprecedented display of Jan Bhagidari, 125 crore Indians stood shoulder to shoulder with the Prime Minister in this fight for India’s bright future. 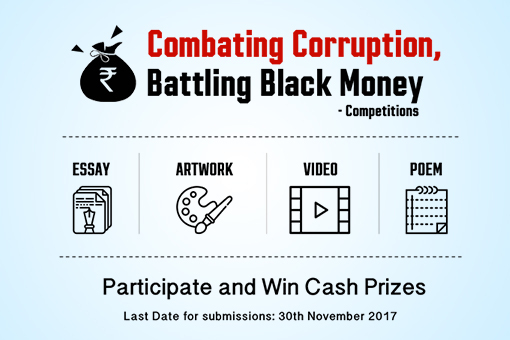 As we approach a year of this landmark day, let us come together again and highlight the fight against corruption and black money in creative ways. This will help create awareness and also motivate further action in this fight for the nation’s future.